BOOM! 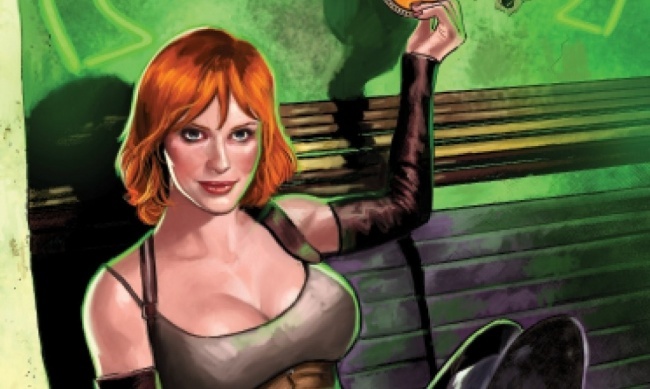 Studios will reveal the origin of The Most Dangerous Woman in the Firefly ‘Verse in Firefly: Bad Company one-shot in March. 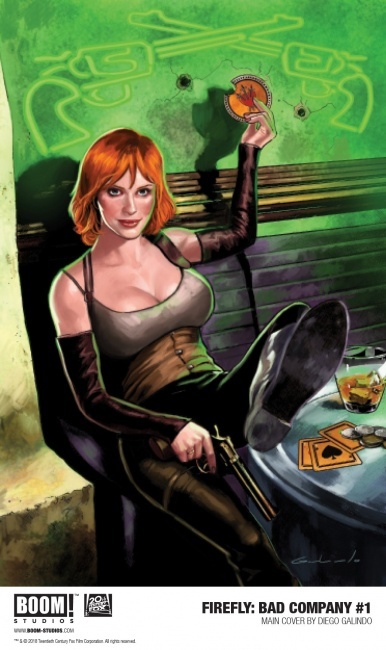 Written by Josh Lee Gordon and drawn by Francesco Mortarino, the oversized issue Firefly: Bad Company #1 will finally reveal the early days of con artist Saffron, aka Bridget, aka Yolanda, aka Mrs. Malcolm Reynolds. It will also reveal how she is connected to the current bounty on Mal’s head. The main cover will be drawn by Diego Galindo, with a variant by Jamal Campbell. BOOM! 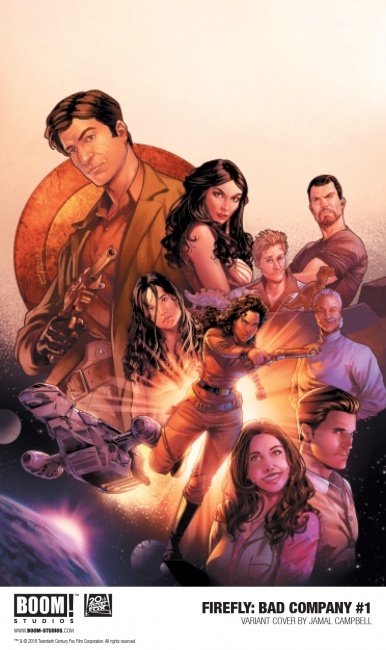 acquired the comic license for Joss Whedon’s Firefly earlier this year and launched a new series in November (see “'Firefly' Comics Head for New Ground”).